Not Your Mother's Math Class: $2 Two-sday and a Wednesday Sale! 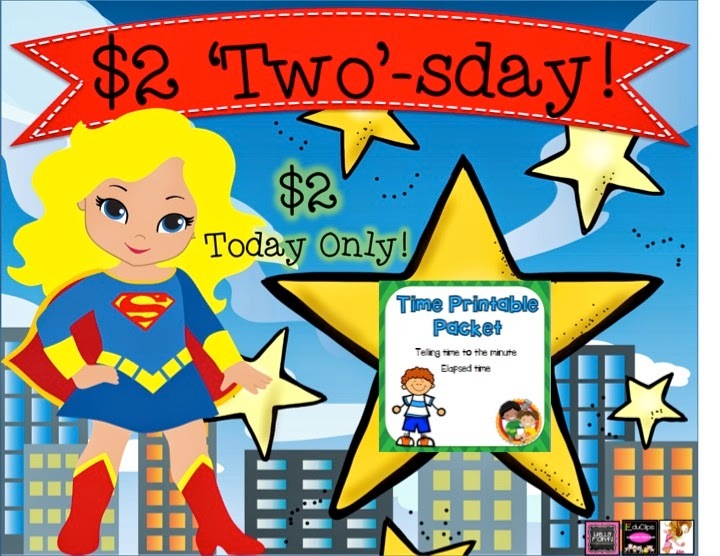 $2 Two-sday and a Wednesday Sale! Several of my friends and I are each putting a product on sale on Teachers Pay Teachers for $2.00 for Tuesday only. These resources are at least 50% off (some much more). Follow this link: http://bit.ly/17nzk43 to see all the great deals. In addition to that there will be a Teachers Pay Teachers site wide SALE on Wednesday February 25th. If you love a great deal or are usually a freebie downloader check out the sale. A few years ago I used TPT just for the freebies, and don't get me wrong there are some great freebies! I did not think I'd ever be a purchaser. Why pay for something that I could make myself? One day I saw a sale posted on a blog I followed and figured what the heck I'll check it out. I bought a few things and realized how much time I could save by purchasing products that were the best for what I really needed (instead of just the free item). Yes, some of the things I have bought I could make myself but it would take me hours. I decided my time was more valuable than that. Some of the things I have bought I do not have the knowledge to make myself. One of the great things about having such a large marketplace is that there is a huge diversity of talents - sellers can produce and sell what they are best at. I would much rather purchase from other teachers than curriculum companies. Teachers have used these items in the classroom. They understand my needs and concerns. Are every teacher's products right for me? Absolutely not but after some time I have found my favorite stores and sellers that I can purchase from consistently. Plus I love to be on the lookout for new sellers whose products speak to me. I'm off to go get my TPT wishlist ready for Wednesday! So Much Going on This Sunday.